Elaine Ehlers (1953-2001), a health-care administrator by profession, had a voracious appetite for all things artistic and musical. She derived intellectual and emotional sustenance from the arts and she supported programs at many museums and musical institutions. By establishing this scholarship, an enduring legacy has been created to reward those who possess artistic talent and who plan to further their arts education. Eugenie R. Coladarci, Vice President of Marketing and Public Relations at Chase Manhattan Bank, was an active member of Morris Arts for eleven years and was completing her first term as Board Chair when she passed away in 1997. As a statewide champion of the arts, Gene encouraged the development of young artists and believed in the value of the arts in their quality of life. The idea of a scholarship to assist talented young people wishing to continue their study in the arts was very important to her. Applications will be accepted from graduating high school seniors who are currently attending public, private, or parochial school in New Jersey. Applicants must be Morris County residents who plan to pursue post-secondary studies at an accredited institution or acknowledged arts school or fine arts program, and who have demonstrated artistic excellence. Children of Morris Arts trustees, staff and panelists are not eligible. Note: As of 2014, the Coladarci Scholarship was increased from $1,250 to $1,500. 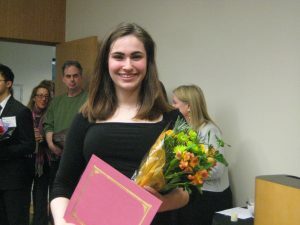 The Elaine Ehlers Arts Scholarship ($5,000) and Eugenie Coladarci Arts Scholarship ($1,500) are offered annually by Morris Arts to two graduating high school seniors who demonstrate artistic excellence in dance, drama, music or visual arts and plan to pursue further study in an area related to the arts. 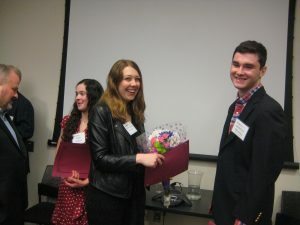 Each year, Morris Arts offers two scholarship opportunities for graduating high school seniors who have exhibited artistic excellence in dance, drama, music, or visual arts and plan to pursue post-secondary studies at an accredited institution or acknowledged arts school or fine arts program. The Elaine Ehlers Arts Scholarship, in the amount of $5,000, and The Eugenie Coladarci Arts Scholarship, in the amount of $1,500, were created to recognize artistic excellence, encourage the artists of the future, and to celebrate the value of the arts to the human experience. Morris County high school seniors graduating in June 2019 who are currently attending public, private, or parochial school or who are home schooled in New Jersey were eligible. Applicants must also (a) be Morris County residents, (b) plan to pursue post-secondary studies at an accredited institution or acknowledged arts school or fine arts program, and (c) have demonstrated artistic excellence in any one of four arts disciplines: dance, drama, music, or visual arts. The Elaine Ehlers Arts Scholarship was established in 2002 in memory of Elaine Ehlers (1953-2001), a health-care administrator by profession, who had a voracious appetite for all things artistic and musical. She derived intellectual and emotional sustenance from the arts and supported programs at many museums and musical institutions. By establishing this scholarship, an enduring legacy has been created to reward those who possess artistic talent and who plan to further their arts education. 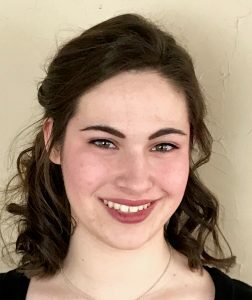 This year’s Ehlers Scholarship winner, dancer Leah Suskind, is a graduating senior at the Morris County School of Technology/ Academy for Visual and Performing Arts and, next fall, will pursue a Bachelors of Fine Arts as a Dance Major at NYU’s Tisch School of the Arts. A Finalist Winner for the National Dance Education Organization Artistic Merit, Leadership, and Academic Achievement Award, a three-time winner at the Teen Arts Festival (County College of Morris) and winner of numerous scholarships, overall awards and judges’ awards for competition dance, Leah received scholarships from Rutgers Pre-College Dance Conservatory, Ballet Forté, and the New Jersey Dance Theatre Ensemble. 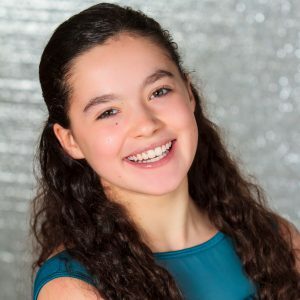 Additionally, she has pursued training at the highly competitive Summer Intensives / Programs at Juilliard, NYU Tisch Summer High School Dance Program, Carolyn Dorfman Dance Company, RIOULT, the Rockettes, Bailar Al Sol Dance Festival, West Side Dance Center, NextStep Dance Company and has performed at Carnegie Hall and Lincoln Center. One recommendation cited Leah’s “command of multiple genres” and her “creativity and technical skill in dance” while another stated, “As a dance professional for over 30 years, there have only been a few students whom I would highly recommend for seeking a dance career and Leah is one of them.” For her application, she performed both “competition” style work and her original work, Illuminate. She choreographed Illuminate “in honor of one of my younger brothers who was recently a victim of an anti-Semitic hate crime at our synagogue’s Holocaust Remembrance Service late April.” The work eloquently communicated Leah’s “sadness for the past and hope for the future” and the panel found her performance deeply moving, technically demanding, artistically mature and exquisitely executed. 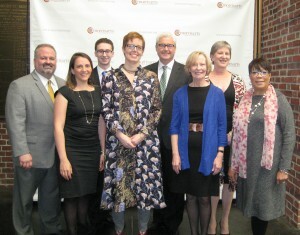 The Eugenie Coladarci Arts Scholarship was first awarded in 1999 in memory of Eugenie R. Coladarci, who was Vice President of Marketing and Public Relations at Chase Manhattan Bank and an active member of Morris Arts for eleven years. She was completing her first term as Board Chair when she passed away in 1997. As a statewide champion of the arts, Genie encouraged the development of young artists and believed in the value of the arts to the quality of life. The idea of a scholarship to assist talented young people wishing to continue their study in the arts was very important to her. 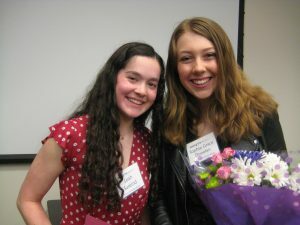 This year’s Coladarci Scholarship winner is soprano Sophia Grace Donelan, a graduating senior at Villa Walsh Academy, who hopes to pursue a Bachelor of Music in Vocal Performance at a major conservatory and, eventually, to become a professional opera singer With extensive training in voice, acting and dance, Sophia qualified for the 2018 summer Boston University’s Tanglewood Institute Young Artists Vocal Program where she studied voice, music theory, music history, diction, movement/bodywork and art song recitals, sang the role of Frasquita in the “Card Trio” from Carmen, soloed in the West Side Story Medley, sang for the Master Class with Mezzo Kelly O’Connor and performed with the BSO Chorus under John Williams. 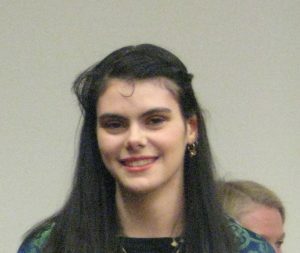 A National Semi-Finalist in the High School Division/Classical Singer Music Vocal Competition, she was also a National Finalist in the New York Lyric Opera Vocal Competition (High School Division). One recommender stated “I believe this lovely young lady has the beautiful instrument, musical intelligence and emotional fortitude to become a great singing actor.” Another states, “In my forty plus years of teaching and conducting, I can say without reservation that Sophia is truly exceptional!”…The panel felt Sophia was far more advanced and well trained than most singers her age. Impressed by her refined and skilled performance of challenging repertoire in three languages, panelists noted her beautiful tone quality, accurate intonation, clear diction, breath control, well-shaped phrasing, wide dynamic range as well as her understanding of and ability to expressively convey the meaning of the texts she sang. 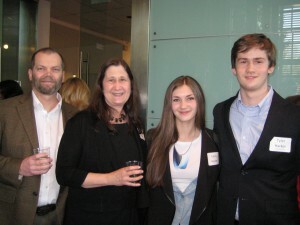 The winners were introduced at the March 14, 2019 opening reception for the new exhibit, seeing the unseen, featuring works by ten outstanding artists and guest curated by Greg Leshé, in the Gallery at 14 Maple (3rd floor, 14 Maple Ave., Morristown). To download the 2019 application materials, click HERE. Application Deadline Extended to Friday, January 25, 2019. 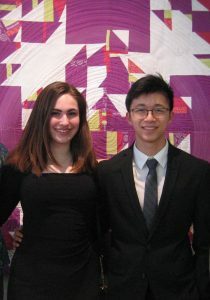 On the evening of March 15, 2018 Morris Arts introduced Pianist John Duc-Tuan Nguyen, winner of the Elaine Ehlers Arts Scholarship (of $5,000), and actress Nicole Giordano, winner of the Eugenie Coladarci Arts Scholarship (of $1,500), at the opening reception for approaching VIBRANCY, the new exhibit in the Gallery at 14 Maple. 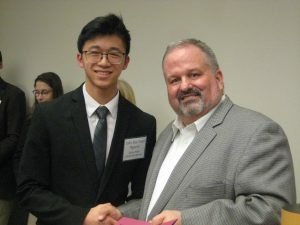 This year’s Ehlers Scholarship winner, John Duc-Tuan Nguyen, is a graduating senior at The Academy for Mathematics, Science and Engineering in Rockaway. 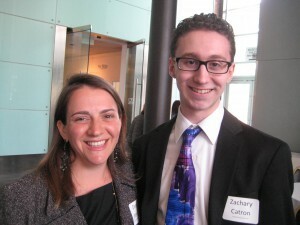 He plans to double major (or possibly minor) in music performance in college. 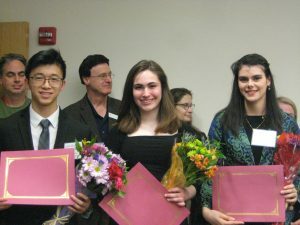 Winning 3rd place in the 8th Chopin International Piano Competition, Grand Prix in the National Young Musician Showcase Competition and IMAS Talented Young Musician Olympia Competition, and garnering top places in numerous other national and international competitions, Nguyen has performed as a soloist at Carnegie’s Weill and Zankel Halls, NJPAC and Lincoln Center’s Alice Tully Hall. His piano teacher described him as “truly gifted,” “exciting,” a “striking talent,” with a “marvelous musical imagination for both lines and colors.” For his application, Nguyen’s outstanding performances of two very difficult works (Lizst/Schumann Dedication [Widmung], op. 25, no.1 and Chopin’s Sonata in B minor, Op. 58, Movement IV: Finale. Presto non Tanto; Agitato) demonstrated his musical maturity, poise, precision, exceptional technical skills, keen understanding of structure and “voicing,” clarity of line, poetic expressiveness, wide dynamic range, and unique flair in performance. As a pianist, he is that rare combination of formidable technique coupled with a profound understanding of the music. 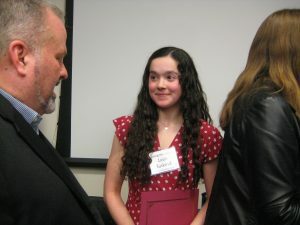 The panel also felt strongly about awarding an Honorable Mention, to acknowledge the outstandingly creative and unique work by visual artist Coral Coad, a graduating senior at West Morris Mendham High School. Cited by one teacher for her “rare and precious gift,” Coral created costumes, designed film sets and produced artwork of great originality and quality. The judges were unanimous in these choices. Congratulations to all! To download the 2018 application materials, click HERE. 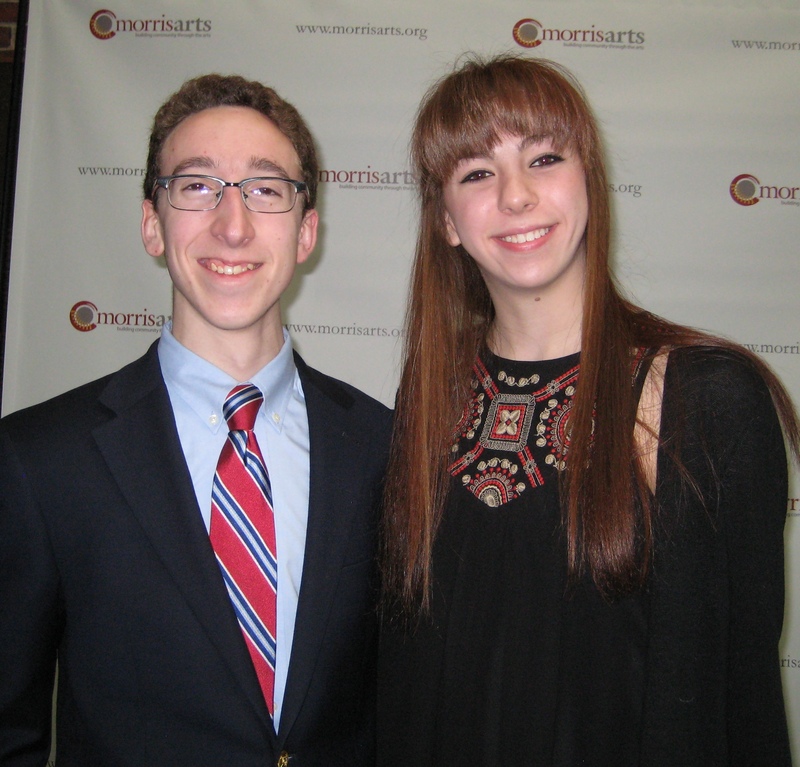 Morris Arts has announced the 2017 winners of its annual Elaine Ehlers and Eugenie Coladarci arts scholarships for graduating high school seniors are Ethan Whang of Mountain Lakes High School and Lila Dunn of West Morris Mendham High School. 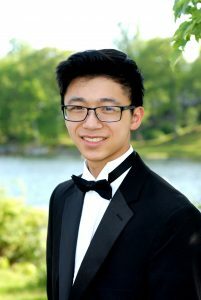 Ethan Whang, a graduating senior at Mountain Lakes High School, will be attending Harvard University, where he plans to study chamber music and conducting. 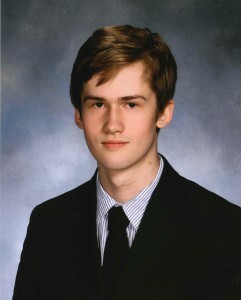 He has studied oboe and English horn at the Juilliard Pre-College Division and with teachers drawn from the Metropolitan Opera and NYC Ballet Orchestras. 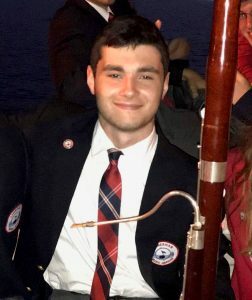 The principal oboist and English horn player in the NJ Youth Symphony, Ethan was one of only two Americans selected internationally for the Verbier International Music Festival in Switzerland, where he was principal oboist. 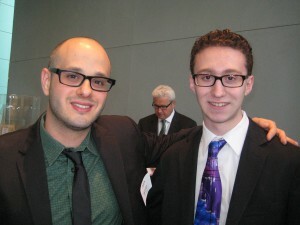 His school counselor called him “brilliant and inquisitive.” His Juilliard oboe instructor praised him lavishly, citing his passion and outstanding artistic ability. The panel was impressed not only by Ethan’s advanced technique but also by his mature musicianship, versatility, clarity of articulation, intonation, depth of expression, artistry and the sheer beauty of his sound. Here, too, the panel was greatly impressed by the advanced skills of this young musician: her facility in difficult passagework, large vocal range, clear diction, accurate intonation, sensitive phrasing and expressive use of a naturally beautiful voice. In this highly competitive year, two outstanding dancers, Kaitlyn Dal Bon and Briele MeLahn, both students at Morris Knolls High School, merited Honorable Mention. The judges were unanimous in their choices. 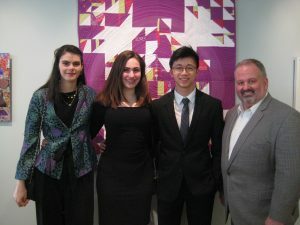 Each year Morris Arts offers two scholarship opportunities for graduating high school seniors who have exhibited artistic excellence in dance, drama, music, or visual arts and plan to pursue post-secondary studies at an accredited institution or acknowledged arts school or fine arts program. 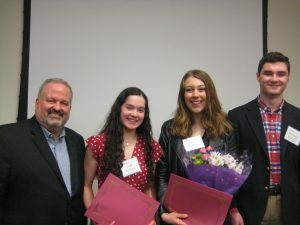 The Elaine Ehlers Arts Scholarship, in the amount of $5,000, and the Eugenie Coladarci Arts Scholarship, in the amount of $1,500, were created to recognize artistic excellence, encourage the artists of the future, and to celebrate the value of the arts to the human experience. Morris County high school seniors graduating in June 2017 who are currently attending public, private, or parochial school in New Jersey were eligible. The Ehlers Scholarship was established in 2002 in memory of Elaine Ehlers (1953-2001), a health-care administrator by profession, who had a voracious appetite for all things artistic and musical. She derived intellectual and emotional sustenance from the arts and supported programs at many museums and musical institutions. By establishing this scholarship, an enduring legacy has been created to reward those who possess artistic talent and who plan to further their arts education. 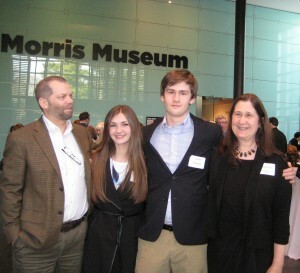 The Coladarci Scholarship was first awarded in 1999 in memory of Eugenie R. Coladarci, who was Vice President of Marketing and Public Relations at Chase Manhattan Bank and an active member of Morris Arts for eleven years. She was completing her first term as Board Chair when she passed away in 1997. As a statewide champion of the arts, Genie encouraged the development of young artists and believed in the value of the arts to the quality of life. The idea of a scholarship to assist talented young people wishing to continue their study in the arts was very important to her. The winners will be introduced at the March 8 opening reception for Common Ground, the new exhibit in the Gallery at 14 Maple (3rd floor, 14 Maple Ave., Morristown). The free reception, scheduled from 6-8 p.m., is open to the public. Morris Arts, located in Morristown, NJ, is a not-for-profit organization founded in 1973 dedicated to building community through the arts. 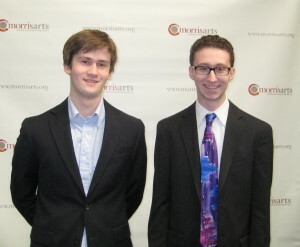 Using the arts to inspire, connect and engage, Morris Arts serves as a resource for Morris County with a special focus on arts programming in the schools and in the community, arts advocacy, and support of the Morris Area community of artists and arts organizations. 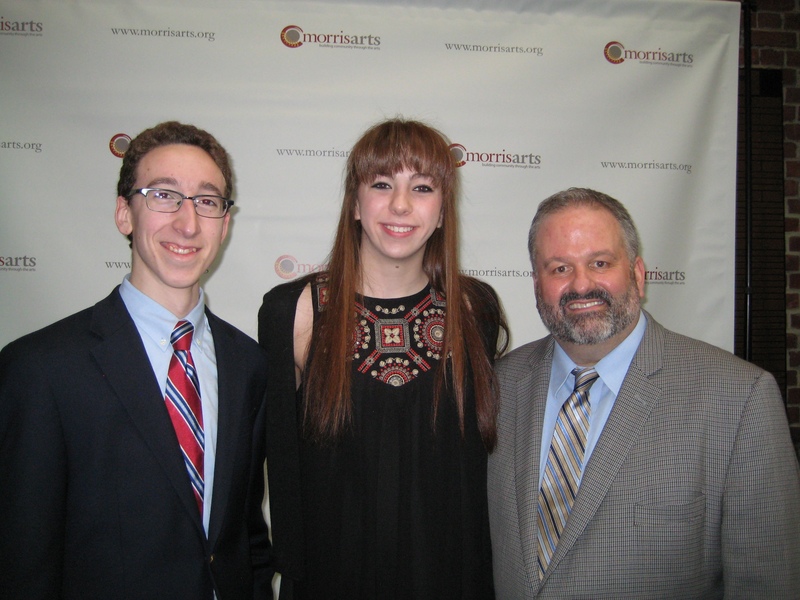 2015 Scholarship winners: Reed Puleo (Ehlers) and Tori Hey (Coladarci); Reed and Tori with Morris Arts Executive Director, Tom Werder. 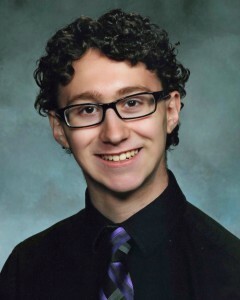 Click HERE to read the award speech and learn about the 2015 Ehlers Arts Scholarship winner Reed Puleo and his accomplishments. 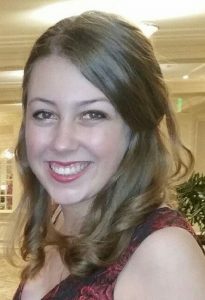 Click HERE to read the award speech and learn about the 2015 Coladarci Arts Scholarship winner Tori Hey and her accomplishments.